Nighttime critters, hooray! 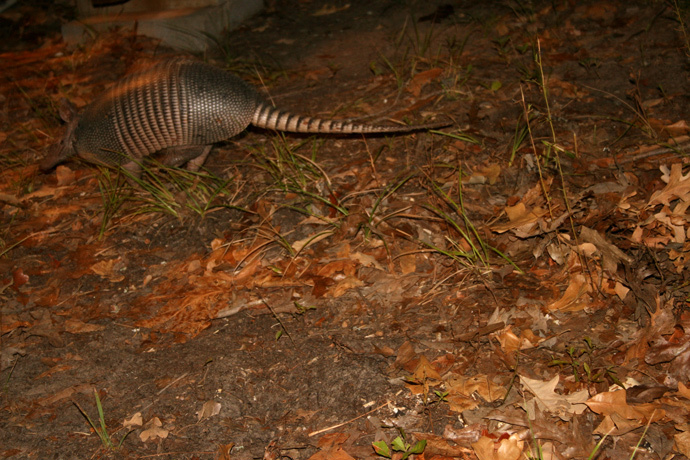 I have pity for you if you have not seen an armadillo up close. They look like dinosaurs, they run really fast and they are super dumb. We witnessed two of them running full speed into a tree. Both of them. At different times. Hilarious. 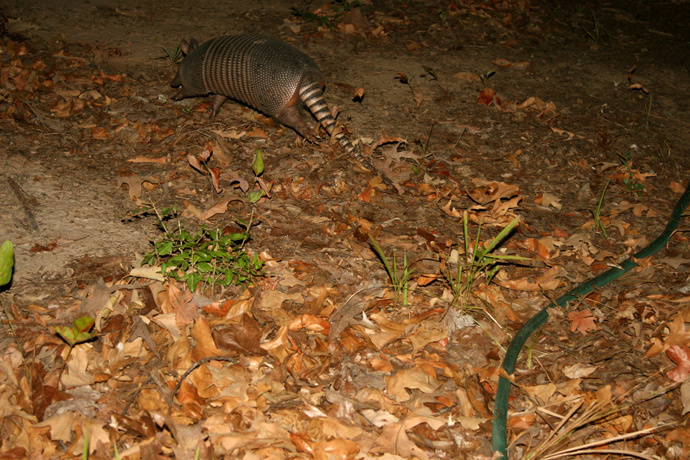 They freak me out on a bi-weekly basis because they sound like humans when they walk through the leaves at night. Little armored Freddy Kruegers. 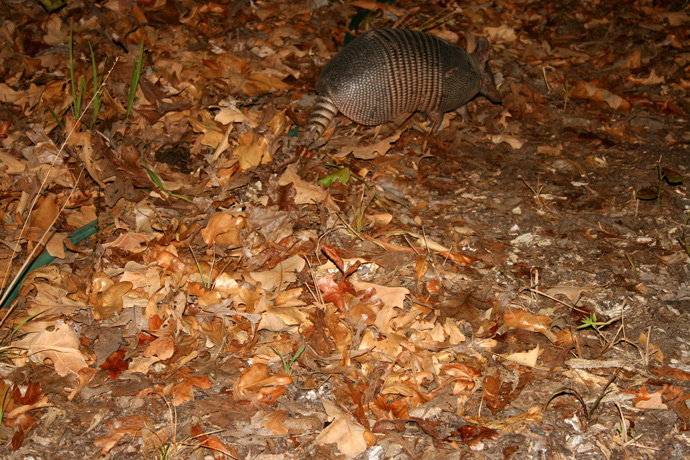 But they are harmless enough and are horrified of us (hence the running into trees). We finally got a few simi-decent picture of them. 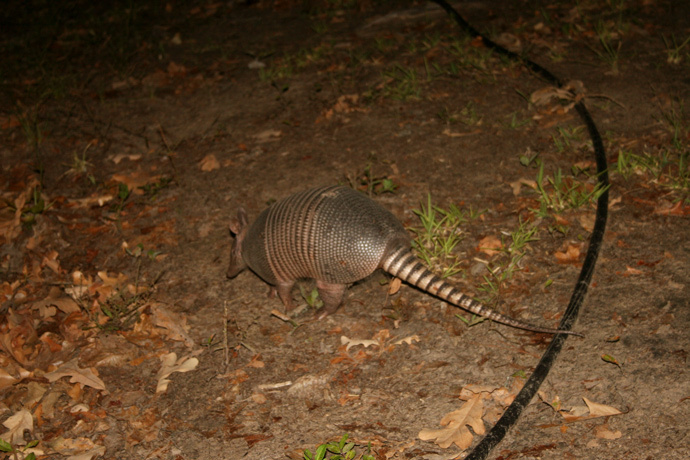 Please ignore the blurries...auto-focus is not so great for pitch black armadillo photo shoots.